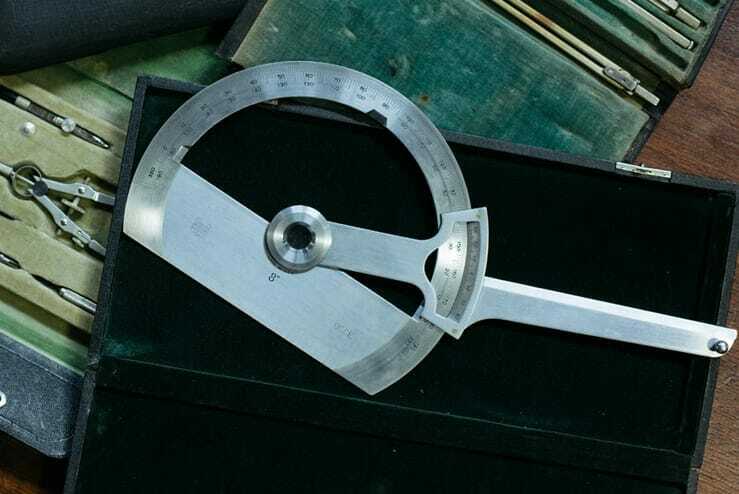 USCE (United States Corps of Engineers) protractor. “Union Instr. Corp., Plainfield, NJ, Made in USA,” is engraved on one side. Comes in an emerald green velvet-lined case which opens with two sliding latches.